"We are very pleased with our results for the fourth quarter as we achieved excellent performance across our businesses," said Eric Schmidt, CEO of Google. "We generated significant revenue growth in our core search and advertising business, driven by continued strength in traffic and monetization. We will continue to invest significantly as we develop innovative new products and as we extend our core technologies to new user access points and to different channels." Just prior to their earnings today I was fortunate to read about some of the company's strategies for growth and how the Wall Street analysts come up with their estimates. Here is a brief analysis I prepared of two articles about both issues. Have business ethics rules been forgotten? You be the judge. The financial decision making process for an organization can get quite complicated at times. There are many different variables that managers must take into account and their decisions affect a great deal of stakeholders/stockholders in the organization. One major variable that managers must take into account are the ethical impacts of their actions. Presently Google struggles with ethical issues and how to satisfy stakeholders. In today’s print of Financial Times (01/30/06) two articles, “Google is putting its own freedoms at risk in China”, and “Google set to test forecasts’ accuracy again”, additional insight can be gained on the ethical dilemmas Google is facing. John Gapper’s commentary regarding Google’s, expansion strategy into China provides a interesting view of what length top level executives will reach to increase their market share and profits. Google is providing a “censored” Google service in China in an effort to maximize their profits. Due to the restrain on by the government in China Google feels that by providing a speedy Google it is okay to censor their search services. Google’s financial objective is to maximize their profit and possibly do it by providing an inferior product knowingly? Google calls this the lesser of two evils due to the environment, ironically one of Google’s founding principles is “Don’t be Evil.” This is a rather unique way of making a capital budgeting decision. Google’s capital structure and investment issues can be examined in Richard Water’s article regarding their stock price and the earnings report that will be presented tomorrow. Google’s earnings have been beating the “street” estimates by 6-15% each quarter. However, these estimates are from analysts that are known for understating popular stocks. Analysts are already speculating that the earnings report will beat their estimates and this speculation can affect the stock and derivatives markets. By providing these low estimates analysts feel they are being “cautiously aggressive” with their approach with one analyst saying they don’t want to be too aggressive ….predicting that they will outperform. This stage is similar to what was seen in during the dotcom boom of the 90’s when analyst’s unethical estimates cause many individuals to loose their nest eggs. Google and many companies like them have a great deal of ethical decisions to consider when making decisions that affect many. One the one hand should they provide an inferior product just to make a quick buck. Should the “street” analysts give understated numbers in an effort to “prop” up a stock? In the financial world we live in today, the answer is yes. Gapper, John. (2006, January 30). Google is putting its own freedoms at risk in China. Financial Times, pp.15. Waters, Richard. (2006, January 30). Google set to test forecasts’ accuracy again. Financial Times, pp.18. To figure your share of real estate taxes (1) divide the number of shares of stock by the total outstanding (including shares owned by the corporation). (2) Then multiply the corporation’s deductible real estate taxes by the number you figured in one. If the corporation received a refund of real estate taxes paid in a prior year, it must reduce the amount of real estate taxes paid this year when it allocates the taxes to each stockholder. Your deduction for real estate taxes paid this year will be reduced by your share of the refund the corporation received. For more information see IRS Publication 530. Alas 2006 is upon us! Time for your businesses to spring out of the blocks with your best foot forward and turn those creative ideas into new product and/or service offerings. The New Year brings about a time of change for the small business owner and this may be a good time to see if you are getting the most out of your small business accounting software investments. Your accounting software plays an integral role in your profitability and in the growth of your business as a whole. This is why it may be a good time to see if you have outgrown your small business software and need to move to the next level – “Mid Range Accounting” software. Entry level packages provide the small business owner with all the necessary tools they may need to track expenses and invoice clients. 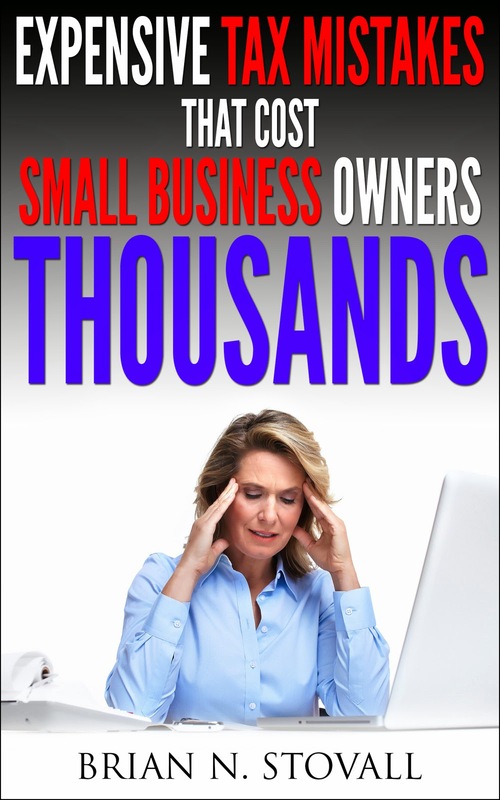 They also give the small business owner insightful reports to make business decisions. These systems are good for small business owners that typically enter the data themselves or have a part-time bookkeeper to assist them. However what if your small business has recently experienced unprecedented growth and there is more information to enter. The small business owner may need to hire additional staff and the number of transactions within your existing small business software may be too much for the software to handle. This is where mid-range accounting software may make your operations more efficient. Mid-range accounting software is typically for small businesses that have 25 or more users that need simultaneous access to financial information. It also provides the small business owner with more detailed analysis features, dashboard snapshots, and continuous updates as changes are made within the system. Most mid-range accounting systems are “modular” in nature meaning that they are purchased in parts or modules. The most basic modular system typically includes a company manager, general ledger, accounts payable, account receivable, and payroll. The more robust modules will include inventory tracking, CRM, and web capability. Mid-range accounting software does not require a total technology overhaul either. Many software packages can be run on your existing client/server configurations and this will definitely be a relief to your IT department or IT consultant.